Here at least, Demon has made the British truly great again. NWOBHM stalwarts Demon are back with their thirteenth album, the follow-up to the 2012 release 'Unbroken'. Vocalist Dave Hill leads the band through this eleven-track outing. By its title, you'd be forgiven for thinking 'Cemetery Junction' is a dark album; on the contrary, it's actually a real gem! 'Are You Just Like Me' launches with some atmospheric keyboard padding before the twin guitars of David Cotterill and Paul Hume sing out their melodic banter and Hill's distinctive voice kicks in. This is like a sampler for the rest of the album with all the best ingredients thrown in – catchy hooks, classy fret-board solos, a driving beat and a powerful but not over bearing vocal delivery. 'Life In Berlin' then pounds out its heavier, chugging, dark rhythm and blends into a song with intense lyrics and even a gratuitous Keith Emerson-esque solo mid track. 'The Best Is Yet To Come' is a big, anthemic song, lyrically brilliant and whilst it's still a heavy composition, the mix gives it a third dimension allowing each instrument space to stand out on its own. 'Queen Of Hollywood' is a song with a split personality, as the first half oozes swirling synth parts and gentle, chorused lyrics, then eventually the guitars kick in and drive the track to its conclusion. Very nicely done! The inevitable ballads on the album appear in the shape of 'Thin Disguise' and 'Miracle', both showing Hill's vocals from a different angle. 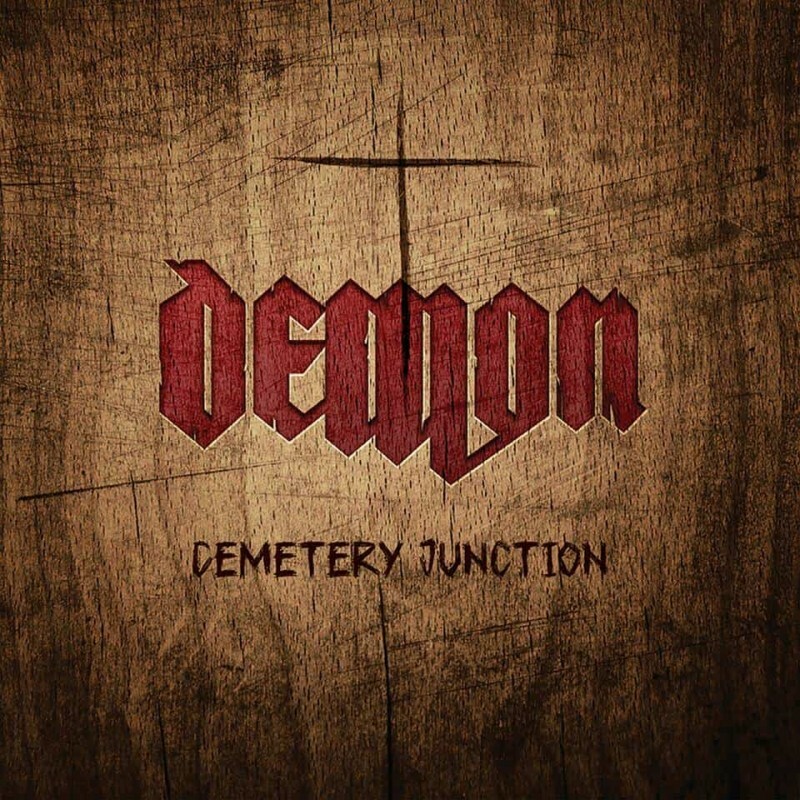 Demon have been around in various slightly adjusted line-ups since 1979 and time has certainly helped them mature both their sound and song-writing. 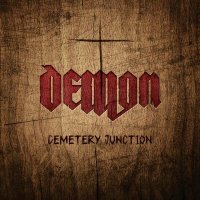 This comes across on 'Cemetery Junction', the title track which is very commercial and sure to gain some radio play. The sound is like early Van Halen with chorused vocals combined with the power of Saxon. 'Drive', however, although a well-constructed track, tries too hard to sound American! The closer 'Someone's Watching You' pieces together a gentle keyboard part with Hill performing a sensitive vocal, a track so far away from the rest that it could be a different band. That being said, as an isolated track it's truly beautiful. All the tracks emanate power and feeling throughout and are varied enough in style to retain interest to the end. Here at least, Demon has made the British truly great again!